Surkhet, Dec 5 : Minister for Foreign Affairs Pradeep Gyawali has expressed his confidence that the misunderstanding between Federal government and provincial ones would be resolved through the meeting of the Inter- Provincial Coordination Council. In a meeting held among the Chief Minister of Karnali Province, departmental ministers and secretaries today at the office of Council of Ministers in Surkhet, Minister Gyawali admitted that issues had surfaced while practicing federalism in Nepal. 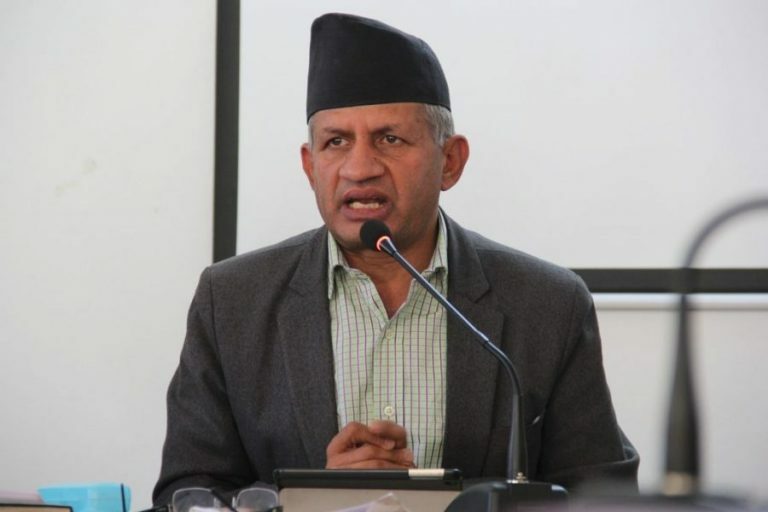 Stating that Nepal’s constitutional provision was new compared to the other countries, Minister Gyawali opined that provincial governments failed to deliver efficiently due to inability of the management of employees and structure for the federalism before holding the three-tiers elections. Gyawali expressed his confidence that issue relating to the management of the employees would be addressed through the newly issued Employees’ Adjustment Ordinance and the formation of the Public Service Commission would permanently address the issue. According to him, the existing structure needs more than 25,000 employees while 10,000 were interested in going for retirement. He pledged that efforts would be made by the central government to address the above-mentioned issue.